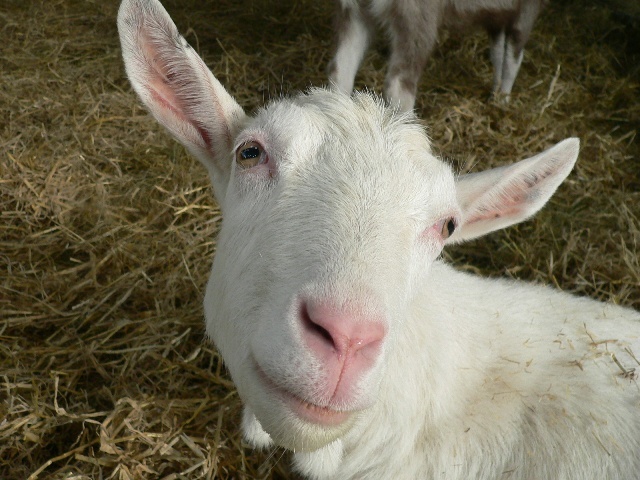 Ellie's Dairy - The Finest Goat Milk, from Kent: What's in a name? All our goats have names. Many people ask how we name the animals, so I thought I would do a quick blog on the subject. And yes, we do know all of them! Goats that we have brought in from other herds have different names and as we started by buying in several goats, we have a nice selection of other herd names as well. Some examples are - Mellan, Zeila, Alailah, Wrotham, Moonlin, Dulyn, Langhome, Willowdown, Dresden, Monach, Laxfield, Tetherdown, Thameside and Patricaken. As for their proper names ... many serious breeders like to identify breeding 'lines' and so may start all their names with a particular letter. We have a few goats from one herd where one of the lines began with the letter 'F'. So, we have Flora, Firefly, Fig, Foxglove, Footloose and Fancyfree. Another breeder started with 'M' and so we have Mora, Marlin, Margot, Maisie, Meryl and Moyra. True to form, David and I took a totally different approach to naming our animals and so we normally use the names of characters from cartoons, movies, books and anything else that takes our fancy. Chaos theory!! No pattern whatsoever. The only general rule that we have is that stud males are named after breweries, beers or hops - hence Fremlin, Beamish, Bramling and Larkin. British Alpine females (black and white) are usually named after soul or motown singers - hence Nina, Aretha, Billie and Etta, to name but a few. So, this makes our naming totally random. And it also makes it extremely difficult to remember everybody's names! 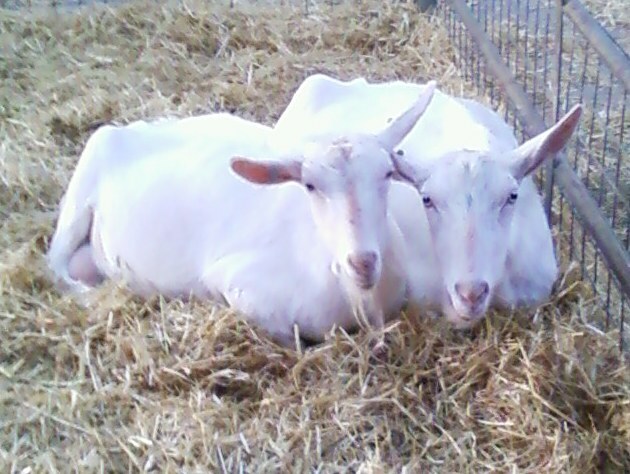 The goats tend to learn their names as they become milkers as that is the point when their lives become a little more routine with having to come in for milking twice a day. Some animals will learn their names earlier but most only when they keep on hearing it called out to them. Of course, some names can sound similar and a call of 'Cora' will also encourage a bleat from Mora and Flora. And some goats will answer to anything if they think there is a chance of extra food!